As you may know, I have an ongoing collaboration with William Breden (@WinsomeVogon is one of the few places he concedes to being online). It is called Nando’s and Nandon’ts. To the right is a poster designed for its first public outing. Here, we begin an irregular series documenting our folly. A dream of chicken. And Les Misérables. A normal, well-adjusted person would have perhaps attributed the dream to overwork and/or a surfeit of cheese and moved on but for some reason I felt differently. I thought there was something in this dream. Something good. As with most of my nonsense I inflicted it first on social media, taking it to the motherlode of nonsense – Twitter. I then tapped up Mr Ward with some preliminary niceties before moving in for the kill. To his credit, Jimmy responded with something approaching civility and so began a strategic alliance beautiful friendship. Like all good insane plots we decided we must be organised. James and I, if he’ll allow me the presumption, share both a keenness for writing and a somewhat laidback (lackadaisacal, downright lazy) approach to implementation. So we produced a flurry of material, but didn’t mind if it got cut. We wrote terribly amusing jokes – that the other didn’t care for, so they were dumped. We changed names at whim. Songs came and went. We messed around with stuff basically until we were happy. 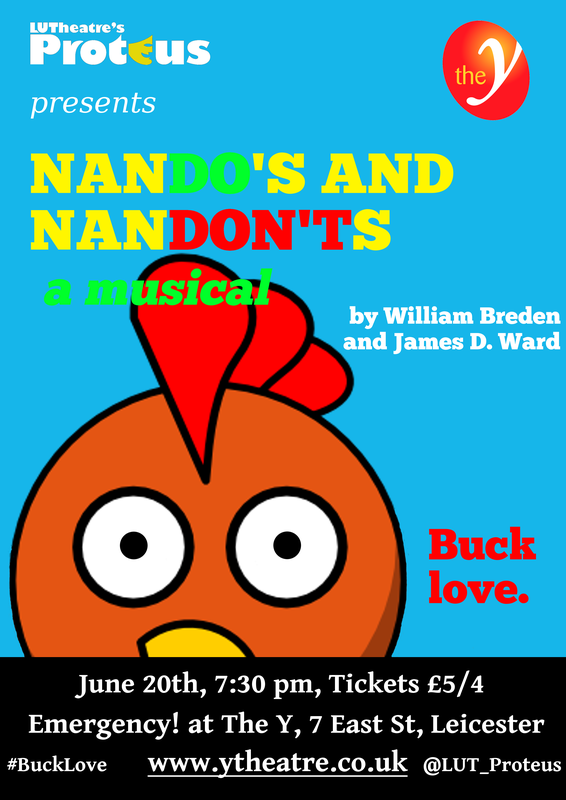 The result of this is a piece of work that’s now on the 9th draft, having started life as an under-rehearsed 10 minute sketch with a few amusing songs for a forgiving audience and is now pushing an hour with dialogue, characters, emotions and everything. Even dance. But we’re not done. If something’s worth doing it’s worth doing ridiculously. If you overbuild it, they will come. We delight in the lunacy of the premise, we chortle at the in depth discussions over references, motifs and themes. We have, for some reason, introduced the tango. So it’s not mission accomplished, it’s just so far so good. I’m looking forward to my next email, and finding out which of my painstakingly crafted jokes has been junked. That’s a pretty fair, if presumptuous, summation of affairs. All Will neglects is a specific account of the process. Each phase of the project starts with a script from Will. I email thoughts and impressions, then give up on that and just send a script back, with the changes I’ve made. This doesn’t last too long before we agree on a draft to work from. Alongside and after this agreed draft, I write the songs. I steal the best of Will’s scratch lyrics and dialogue, arrange it to usually the same three-chord pattern as the rest of the score, and moan constantly about what a hard life it is being a composer, whilst idly strumming my ukulele and imagining it is actually an 63-piece rock/jazz band/orchestra. I then sing them into the worst laptop microphone in Christendom, send the demos over with the attendant lyrics (usually indecipherable on the recordings), and generally they are approved. Interspersed amongst all of the above are various emails and pub trips discussing this and other matters, bouts of insanity, bouts of life, bouts of forgetting this thing exists, and tweeting. Endless tweeting. Next week, a Q&A. We’ll likely both Q, and both A, but if anyone else has any burning inquiries, I’ve rashly left the comments section open. If you prefer to use another channel you’re more comfortable with – Twitter, email, carrier pigeon, satanic rite – feel free, and I’ll try to pick it up (my black flooring needs a good scrubdown and rechalking, so if you’re using black magic expect delays).